If you tell one person, and that person tells one person, pretty soon, we’re all safer. 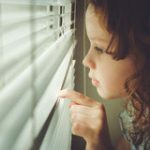 Blinds with cords are in the top 5 hidden household dangers according to the FCC. Help us spread the Awareness of Blind Cord Safety in your community! Help us make this common knowledge among parents, caregivers and pet owners. Sign our pledge to tell just one person and help us spread the Awareness on Blind Cord Safety. Together, we can make a difference. Most people don’t give a second thought to the cords used to open and close curtains and blinds. Research and recent development reveals that these seemingly innocent items are capable of strangling young children, babies, and even pets. 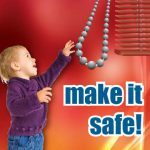 It only takes just a few seconds for a baby, young child or pet to become entangled in curtains or blind cords. This can happen when cords are too long or they end in a loop. 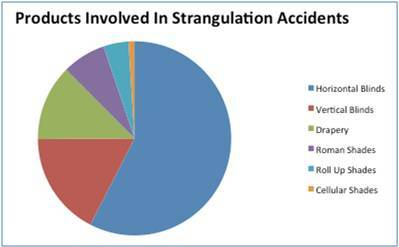 If a child slips, moves quickly or plays with a cord, the cord can act like a noose and strangle the child. Pets can also easily become tangled in cords. Often times, blinds are improperly installed or the safety mechanisms aren’t being used correctly. 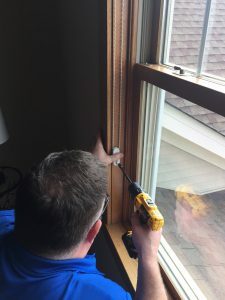 We at Blind Installation and Repair, Inc. urge parents and caretakers to take steps to remove the very real threat posed to youngsters by existing curtain and blind cords. We want every child and pet to be safe and protected against this hidden danger. Smart Furniture Placement: Keep children and pets away from cords by moving cribs, playpens, beds and any climbable furniture away from windows. Stay Alert: Both at home and away on holidays, make sure that blind and curtain cords are out of reach. Make Loose Cords Safe: Install a simple hook on your wall next to your windows to wrap any long cords around. There are other ways to shorten your cords, please contact us help you through the process. 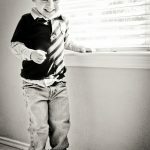 Replace Old Blinds: The simplest way to keep your children safe is to switch to cordless blinds. We can help you there. Fix Your Current Blinds: If you can’t replace your blinds, you can retrofit older window coverings to be safer. Contact us to find out how. October is National Window Covering Safety Month, which is a perfect time to prevent accidents caused by faulty or dangerously placed blind cords and keep your children and pets safe while playing. Most people donât give a second thought to blind cords or the cords used to open and close curtains. But research and recent development reveals that these seemingly innocent items are capable of strangling. With winter comes snow days, sledding, hot chocolate, and many other fun activities families can enjoy together. Children may want to run outside and play at the first sign of snow, but remember the indoor hazards.